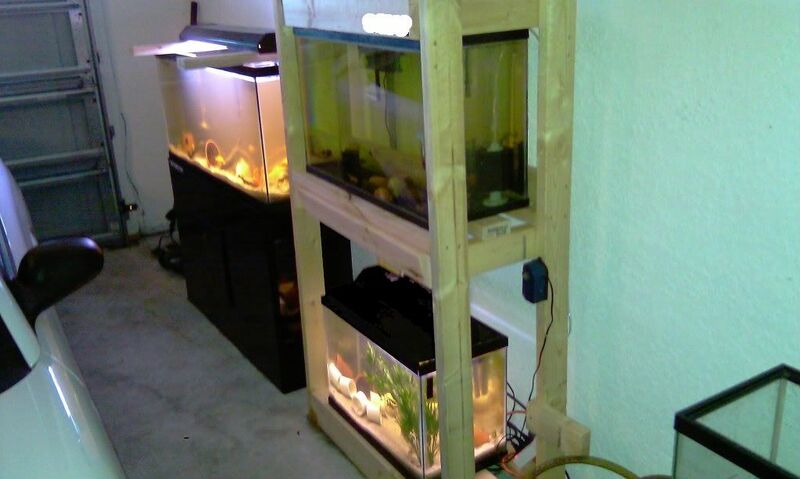 I just moved all my tanks to the garage, i also bought the wood to build other rack like the one on the picture for future tanks additions , more pics soon!! lol not going to happend, 3 things have to fit in my garage, fish...mustang...my toy (jetsky), thank god i have a big garage!! lol yeah right, then the next day...gone! !